Canton, MASS. 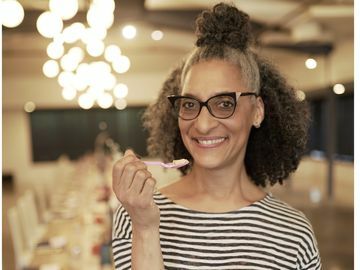 (June 4, 2018) - Baskin-Robbins, the world’s largest chain of ice cream specialty shops, is honoring dads nationwide this Father’s Day with a lineup of ice cream cakes that will satisfy every dad’s sweet tooth. Baskin-Robbins’ new Banner Cookie Cake and Bowtie and Suspenders Cookie Cake combine two popular sweet treats – cookies and ice cream – into one delectable dessert. Each cake features two 9” chocolate chip cookie crusts with a layer of ice cream in between and is decorated with colorful icing and rainbow sprinkles. 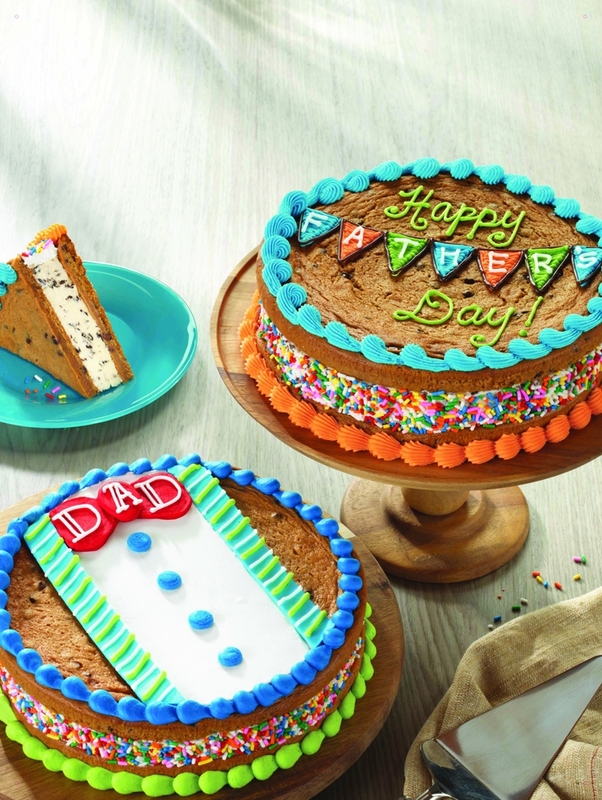 These two new Cookie Cakes are part of Baskin-Robbins’ lineup for Father’s Day, which also includes returning favorites, The Cold One Cake and OREO® Triple Chocolate Cake. The Cold One Cake is shaped like a mug, and says cheers to Dad in a flavorful and frosty way, to help him kick back, relax and celebrate his day. The OREO® Triple Chocolate cake is elegant and decadent, featuring an OREO® cookie-infused chocolate frosting, topped with a mouthwatering ganache and alternating layers of OREO® cookies, frosting rosettes and chocolate triangles. 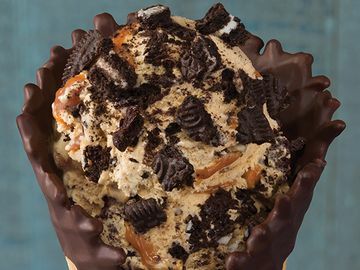 Baskin-Robbins is also featuring Caramel Macchiato as the June Flavor of the Month. 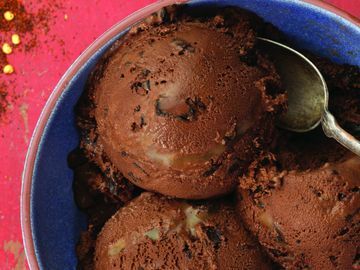 Caramel Macchiato is made with coffee-flavored ice cream, loaded with real espresso flakes and a salted caramel ribbon. 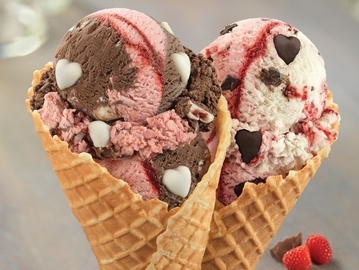 This coffeehouse classic-inspired treat can be enjoyed in a cup, cone, a Sundae Shake or as a Cappuccino Blast® for even more coffee flavor on-the-go. All of Baskin-Robbins’ Father’s Day ice cream cakes are fully customizable with dad’s favorite ice cream flavor and are available for pre-order through June 17 for ordering both in-store and online at www.baskinrobbins.com/onlineordering. Through the Baskin-Robbins Mobile App, guests will also receive a coupon for $3 off any cake valued at $15 or more through Father’s Day. 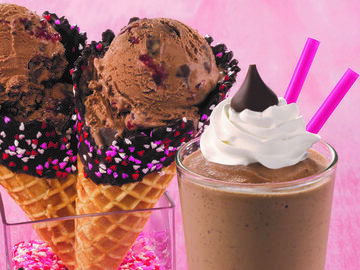 Baskin-Robbins’ gift cards also make it easier than ever to get your loved ones the perfect treat for Father’s Day, graduation, birthdays and all other occasions.